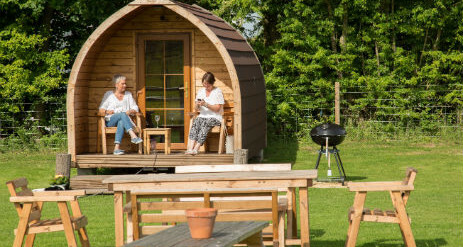 Set at the foot of the Malvern Hills in the beautiful rolling countryside of Worcestershire is our small and friendly glamping site Rosebud Meadow. 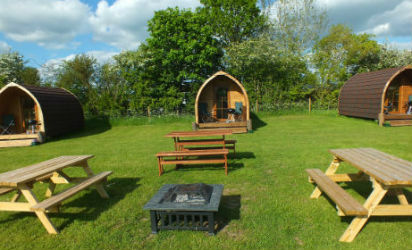 With a unique slant to traditional camping we offer glamping in fully insulated 5 star camping pods. 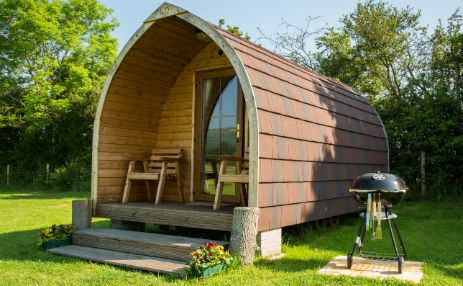 The pods will take you back to nature without the inconvenience or effort associated with traditional camping. 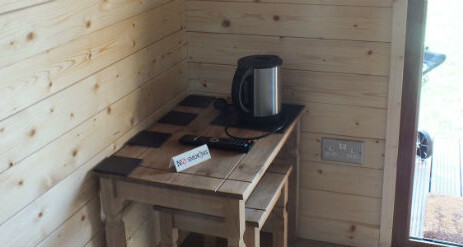 Our facilities allow you to experience the full enjoyment of the rural outdoors from the comfort of one of our Pods. This beautiful site has a view that will take your breath away. 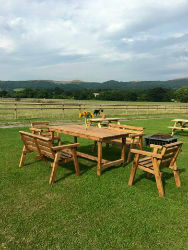 We also welcome well behaved dogs and horses too! 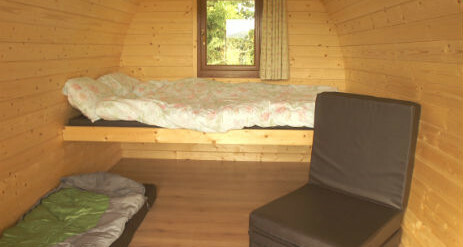 Our five star pods are warm in winter and cool in summer, waterproof and cosy and so perfect for use all year round. 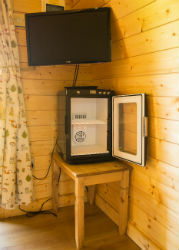 All have electric lights and power sockets are double glazed and fully insulated. A pod is the ultimate ‘home away from home’ experience. Miniature horses including the rare breed Falabella ponies. Our smallest mare, Mouse, is just 28 inches tall! You can also bring your own horse on holiday with you! 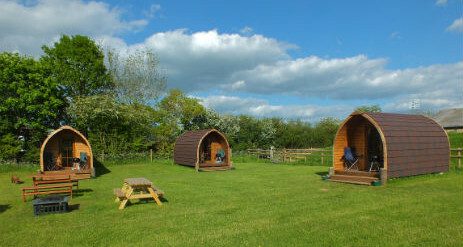 Imagine waking up every morning to the sight of your horse grazing in the paddock outside your Pod. Stabling in our American style barn or grazing in a well fenced paddock. DIY or option to have a complete holiday and we’ll do all the hard work so all you have to do is decide where to ride! Worcestershire and the surrounding area provides something for everyone including all kinds of outdoor pursuits, festivals, music and many attractions and places to visit. 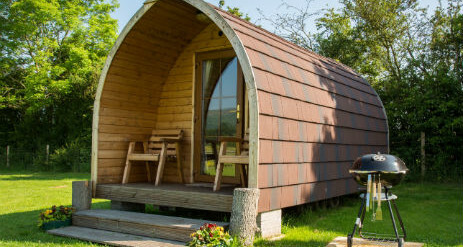 We are ideally located whether you just want to relax or explore the local market towns and villages, go cycling, mountain biking, fishing, walking. 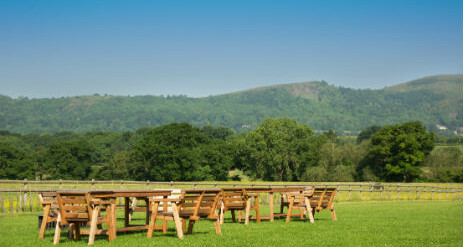 You can walk from our site to the top of the Malvern Hills and only have to cross one quiet lane. We have direct access on to Castlemorton Common which is an ideal place to to fly a kite, to picnic or kick a ball around or walk your dog. Bank holidays £85 per night for 2 adults. Children £5 extra per child, extra adult £10 per adult, dogs £5 per dog all per night.